Built to order; approx. 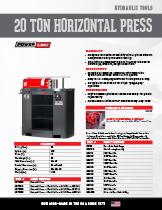 2-3 week lead time. 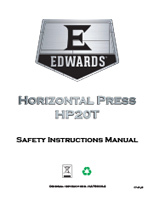 With 20 tons of force, the Edwards Horizontal Press accepts a great variety of tooling to form, brake, and straighten mild steel. 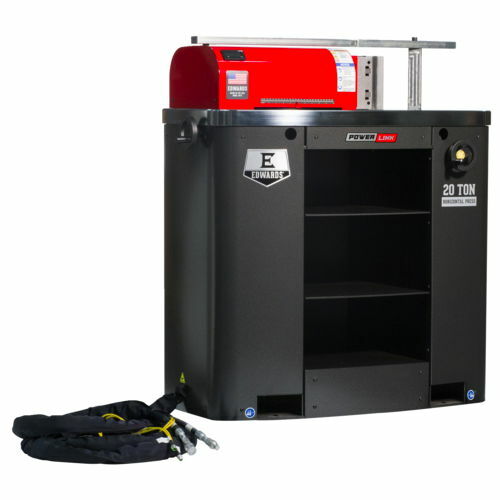 This compact powerhouse quickly connects to your Edwards Ironworker with a PowerLink System or Edwards Portable Power Unit to greatly expand your fabrication capabilities. Designed for maximum tooling flexibility, the 4 pin locations are locked with a simple crank for inboard tool squaring. The included digital encoder reads positive stop for accurate repeatability. The potential of this tool is only limited by your imagination.